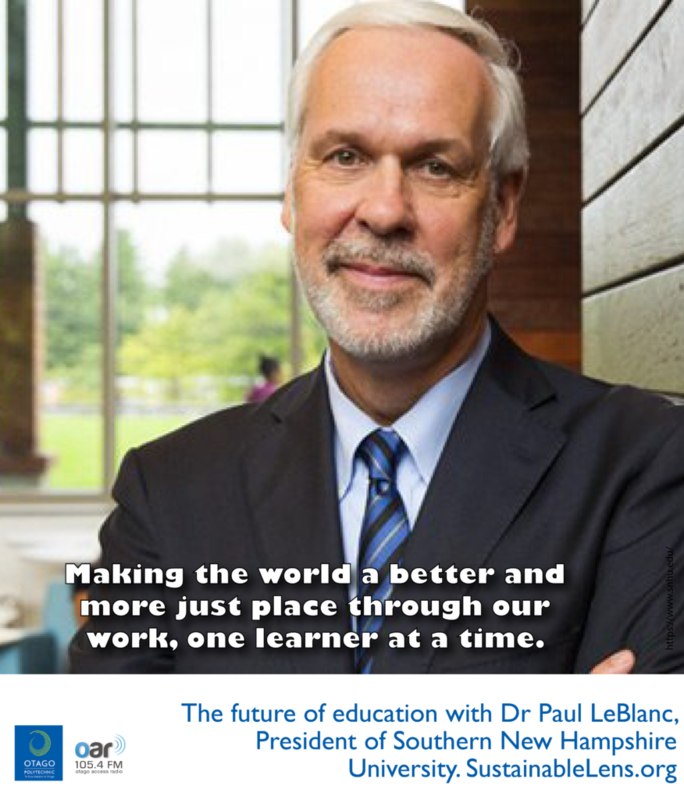 Dr Paul LeBlanc is President of Southern New Hampshire University. He says his goal (and that of SNHU) is making the world a better and more just place – one learner at a time. And how they are doing it, at scale. We talk about the social justice underpinnings for College for America, and how a focus on every student can be achieved at scale. Future generations of learners will be masters of multiple worlds, have spectrum demographics, be distributed and have a different sense of value – seeing value in curated interconnected social selves. Are we being as thoughtful about equity as we are about access? Its the end of the credit hour model that focusses on time spent in class, instead the competency model puts the focus on learning. (On international university work in war-torn and refugee communities) How could we not be there? It’s our moral imperative. Build the narrative – the story is part of the solution…writing for change.